DIAL: Blue metallic dial with applied hour markers filled with tritium. Large outer pulsations scale. Metallic baton h/m hands with tritium lume. 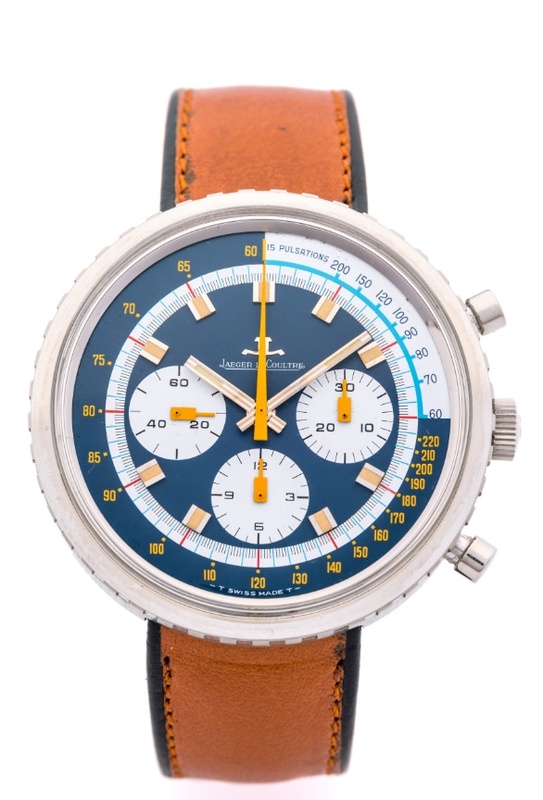 Orange chronograph and seconds hands. CASE: 44mm, stainless steel, screw down bezel, one piece case. Acrylic crystal. CONDITION REPORT: The dial is in excellent 9/10 condition with nice cream patina of the tritium in the applied indexes. The bezel and crystal are in excellent condition. The case back has been polished and satin finished and the serial number is no longer visible.